I have a real thing for wood chevron and herringbone floors, especially the slightly-battered, wide-plank ones you see in pictures of perfect old French apartments. All four of the above photos are from B&B Italia. 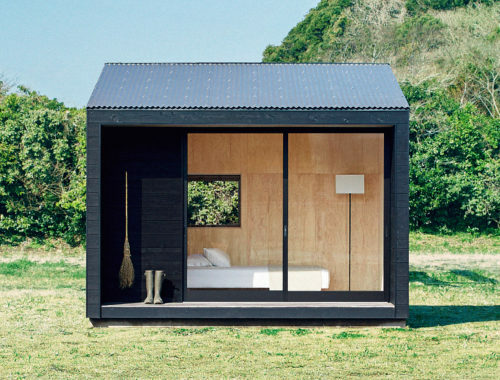 I could move in there tomorrow, no problem. 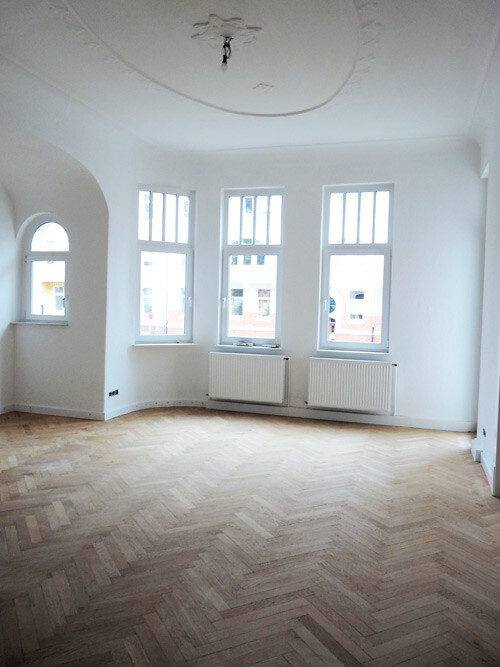 This is in Holly’s new apartment in Hannover, Germany, which she’s been blogging about over at Haus Maus. Photo by Tia Borgsmidt. 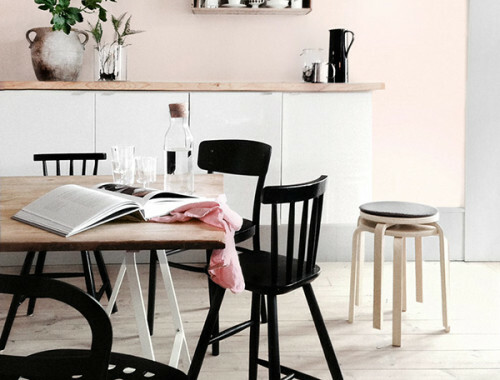 There’s a whole lot to like here aside from the herringbone floors—like those Poul Kjaerholm chairs! What’s better than wood herringbone floors? 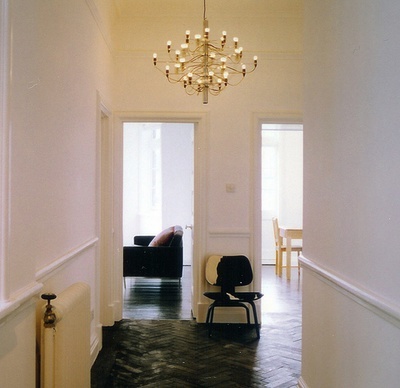 Wood herringbone floors stained black. Via sfgirlbybay (I don’t know the original source, sorry—if you know, please tell me!). Interior by Joseph Dirand Architecture. I really love the color variation in the chevron! I saved the best (and most predictable!) 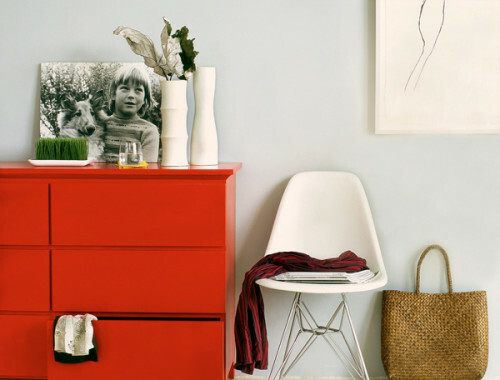 room for last: Jenna Lyons’s bathroom, as seen in Domino. Interior by Levenson McDavid Architects. Ahhhhhh. 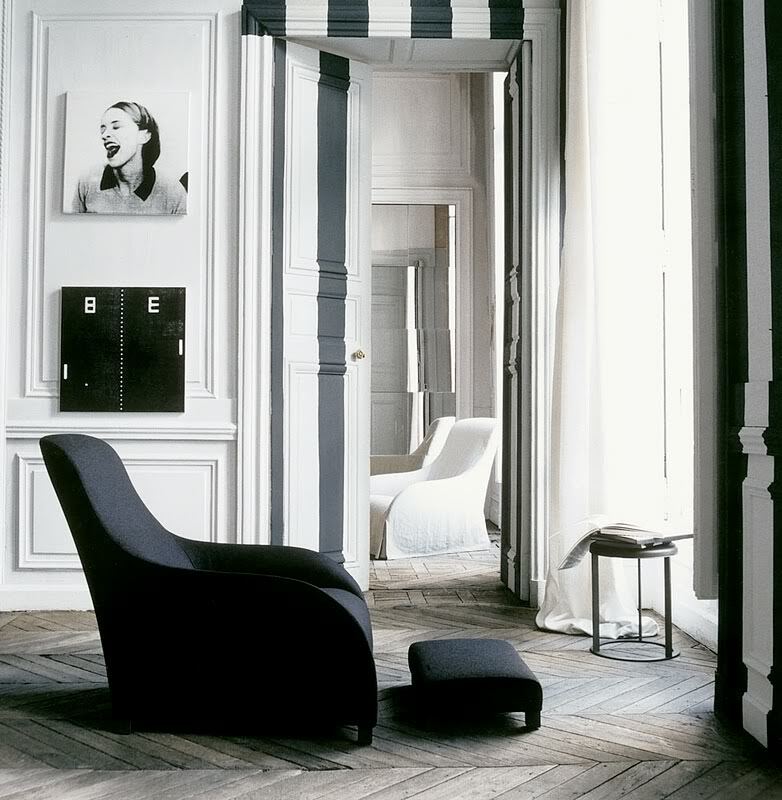 Chevron parquet by Atelier des Granges, who are welcome to come to my house anytime and install floors just like this. I’d take it for the bathtub & sunlit window alone. Gorgeous digs. 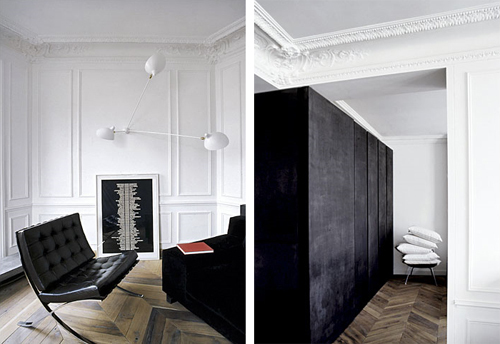 I adore chevron/herringbone floors too. I only just realised the difference though when I looked at these pics. I looked into putting a parquet floor into our dressing room but it was going to cost a bomb. Maybe one day though. An original floor is best but impossible to find where I live. Stunning. Stunning. Stunning. I’m a huge fan of chevron and herringbone as well. is the difference that each side on the chevron matches up symmetrically, and on the herringbone it’s slightly off? that’s what I gathered from the photos. i love both patterns in clothing but i never thought about that before. Wrecky wood floor plus fireplace plus plaster decoration plus big windows = heavenly! @Misa: Wow, that apartment is gorgeous, and it is ALL about the floors!! Amazing. Thank you for sharing! @kelly w: Me too! My first thought was that I want to recreate it NOW. Huge-style. 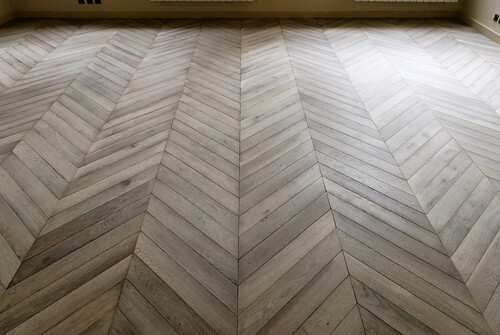 If I ever live in an apartment with herringbone/chevron wood floors… that is- WHEN I do (I have decided that it WILL happen) I’m sure I will spend a fair amount of time lying face down on them giving them a big hug with a giddy smile on my face. Deep sigh…those are my absolute favorite floors too. Every year in the San Francisco decorator showcase house, they do floors like that and I just drool. I especially love the limed (limewashed?) bleachy looking ones. Great collection of photos! 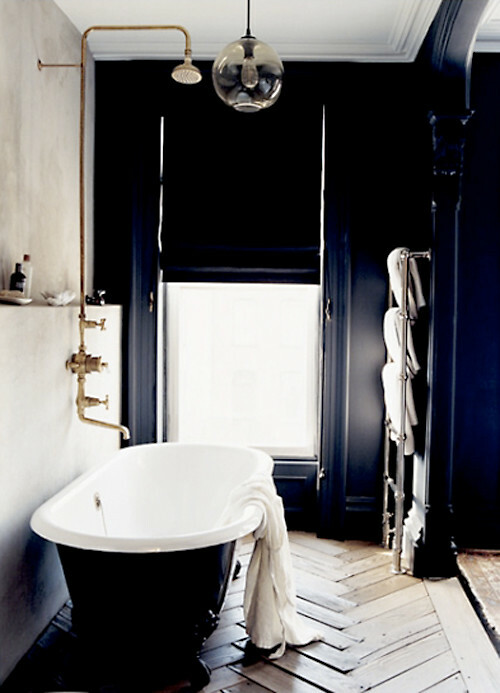 I love this kind of floor too, it is such a great foundation for stylish interiors. Aren’t those floors lovely? 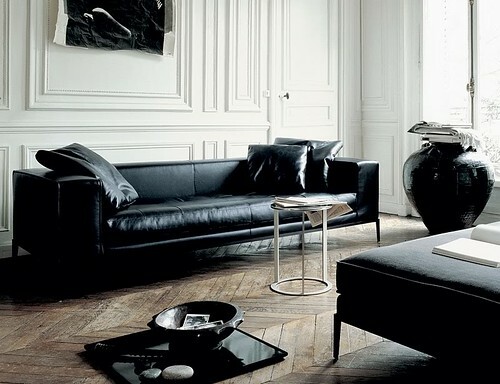 And the worn, slightly gray color is so gorgeous with a black leather sofa. Our floors are totally beat up and awful and ugly — these actually look *good* with some wear. I used that bathroom photo to try to convince my husband to let me paint the bathroom black. Didn’t work but he is allowing a gray so dark it may as well be black. I might just sneak and paint it black and tell him it came out that way. Oops. I heart herringbone floors as well – plus all the details and architecture in those old homes. my dream home will have both – one day! I can’t wait for a herringbone floor tutorial! The only thing I can think about is the absolutely amazing talent of the people that put the floors in. Seriously! Cutting all those angles correctly and over and over and over… Totally worth the beautiful results. Ummm WOW, the dark & light contrast here is epic. and that fluffy white throw on the bench looks like something I wanna cuddle with. eee! I love B&B Italia, when I studied interior design, I found all these Italian furniture makers and somehow managed to get them to send me catalogs (english translation was hard). I love herringbone floors more than chevron someone told me they were done to make use of shorter lengths of wood. Well now I know that I just LOVE chevron wood/herringbone floors! I’ll never look at wooden floors in the same way again. I absolutely love chevron floors. I really wanted it in our kitchen reno but my hub thought I was nuts as it would have cost an absolute fortune! Yeah ok he’s probably right but maybe one day….ahhhh (gone in to a dream state) Suppose there is only so much you can do in a reno with a tight budget, ho hum. I love this post! 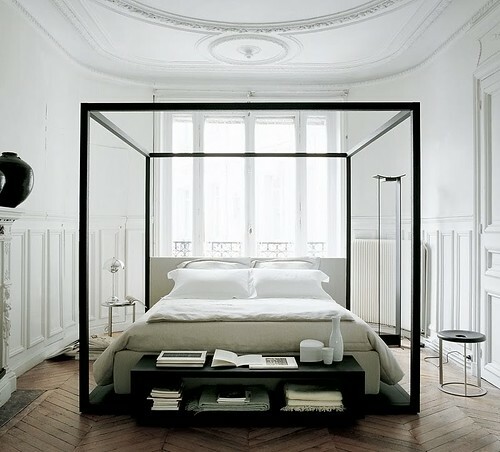 I had to feature the B&B Italia photos to my blog, inspiring my new bedroom. I also feature your blog on my blog list, because you always inspire me, Thank you! Not going to lament much except to say in Europe, these floors are the norm and the wood comes precut. My parents rented. NORMAL (cheap) apartment in Warsaw and it had these.. Matter of fact they are everywhere. Here in Canada we’re talking thrice the price.. Why?? We were recently looking at a beautiful home that had these chevron floors in the stunning living room. Much to my dismay, the house sold before we sold ours. I dream of having these floors at some point in my life. Original would be incredible, but I would install selvedged ones. Sigh! sigh. sigh. sigh. I couldn’t love and dream of herringbone floors more. I adore them. I fantasize about them. my husband and I installed flooring recently in our house and almost did herringbone (but it was our first hardwood floor install, and it’s for a rental apt. in our house so we held back). BUT I declare, it will happen in our space! maybe. it is so beautiful. swoon…. loved those images…that bed in the middle of that floor with that amazing ceiling had me at HELLO TAM! I too have always had a thing for herringbone floors. 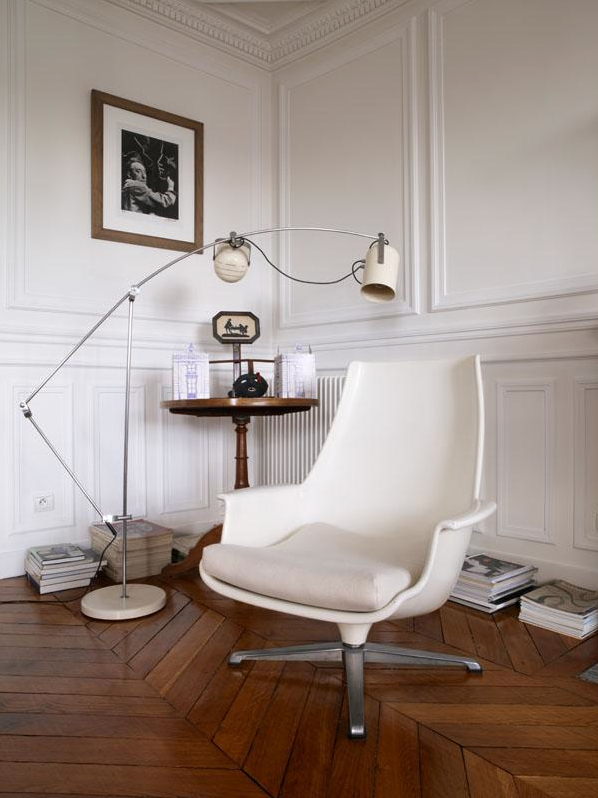 Lived in a Parisian apartment with one as a student – it was definitely the best thing about it! i DIE for these floors! The floors are gorgeous, I love chevron and herringbone floors. Julie, I think these are questions for the contractor! I really don’t know, I’m sorry.